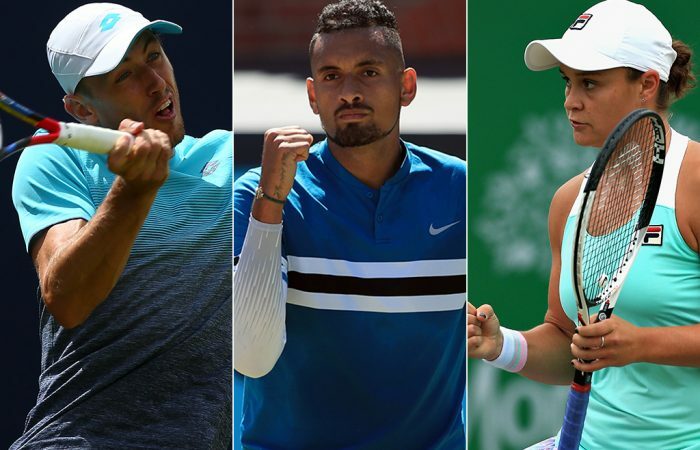 Nick Kyrgios, Ash Barty and John Millman have each enjoyed strong grass-court seasons in the build up to Wimbledon. And they arrive at the All England Club brimming with confidence. Nothing beats notching wins on grass to boost one’s confidence heading into the The Championships at Wimbledon. The grass-court season is infamously short. Even since the gap between Roland Garros and Wimbledon was extended by a week in 2015, players have just three weeks to gain valuable practice and match time on the lawns. For Nick Kyrgios, back-to-back semifinals at Stuttgart and Queen’s have positioned him well ahead of this year’s campaign at Wimbledon, the Grand Slam tournament he feels he has the best shot at winning. “I’ve never really won many matches before Wimbledon so to come in this time playing two solid weeks against tough opponents, that’s probably the best I’ve ever felt about my game coming on the grass,” Kyrgios said at the All England Club on Saturday. “But then again, anything can happen – (Denis) Istomin can come out firing. That’s why I have to be ready to go from the get-go.” Kyrgios on Friday drew Istomin, the former world No.33 from Uzbekistan, as his first-round opponent. The Aussie arrives having enjoyed his best grass-court lead-up in four years; not since he won eight straight matches to win the 2014 Nottingham Challenger as a qualifier has he notched this many grass-court wins before Wimbledon. That year, the then-18-year-old rising star went all the way to the quarterfinals, stunning world No.1 Rafael Nadal on Centre Court along the way. He’s reached another Slam quarterfinal since then (Australian Open 2015) but this year is narrowing his focus in a bid to maximise his chances of going deeper than ever before. “Putting it together over two weeks isn’t something I’ve done before,” he said. “It’s not something many people have done – there’s always the select few who can do it and hopefully, you never know, in two weeks’ time it could be my breakthrough. 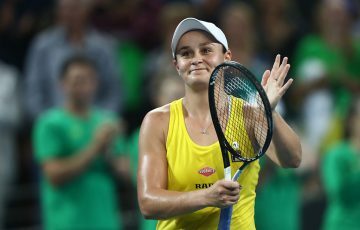 Ash Barty, meanwhile, has won eight of 10 grass-court matches since leaving Roland Garros. 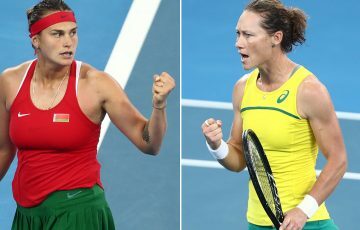 The Queenslander won the WTA title in Nottingham and this week reached the quarters at Eastbourne, going 8-2 on her favourite surface leading into the Grand Slam event where she won the junior singles title in 2015. 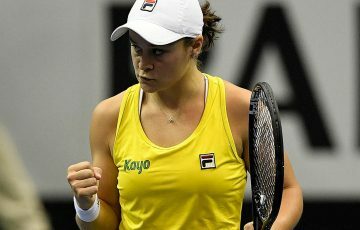 “I feel like I’m playing well, certainly had enough matches, and now it’s about putting it all together (at Wimbledon),” Barty said. “I think most consistent (grass-court season). In a sense of back-to-back tournaments. I mean last year it was a little bit tricky – I didn’t get to play in Eastbourne having missed qualies because I was still playing in Birmingham, so I feel like this year it’s been a little bit easier to plan out, can just go from one tournament to the next, do what we need to do. Incredibly, this is just the third time ever that Barty will feature in the main draw at Wimbledon. After a first-round loss to No.4 seed Elina Svitolina last year, Barty is herself seeded this year (at No.17) and opens against Stefanie Voegele, whom she beat in the first round in Nottingham. “Yeah I would (like to win my first main-draw match here) but it’s not like I’ve played here 15 times and haven’t quite got there,” she said. “I’ve had a few tough draws here, to be honest, and felt like I haven’t done too much wrong. But I feel like I’m in a different place now. Lot more experienced, I feel like I know how to go about it around the Slams a lot better, know how to plan the days leading in, plan the day of the match. For another Queenslander, John Millman, the road to Wimbledon has been similarly buoyant. In a career-first, the 29-year-old advanced to his first ATP grass-court quarterfinal at Eastbourne this week. He won four matches this grass-court season – the most he’s won leading into Wimbledon – after also qualifying for the main draw at Queen’s Club. “I think for me it’s as important as possible to get as many matches as possible going into Wimbledon,” he said on Saturday. “I probably started off a bit slow over the grass season but then getting a couple of matches at Queen’s was really important. And then last week, I played some really good tennis at Eastbourne so really happy with the preparation so far. Millman has drawn Italian Stefano Travaglia as his first-round opponent.